Calcium is the most abundant mineral found in the body, with 99 percent stored in bones and teeth. Calcium helps your body perform essential functions including muscle and blood vessel contraction, as well as hormone and enzyme secretion, explains the Office of Dietary Supplements. The Recommended Daily Allowance of calcium for adults aged 19 to 50 years old is 1,000 to 1,200 milligrams daily. However, too much calcium in the blood -- hypercalcemia -- can be dangerous, and if that happens your doctor prescribe a low-calcium regimen. There are a number of healthy foods available for you to choose from. 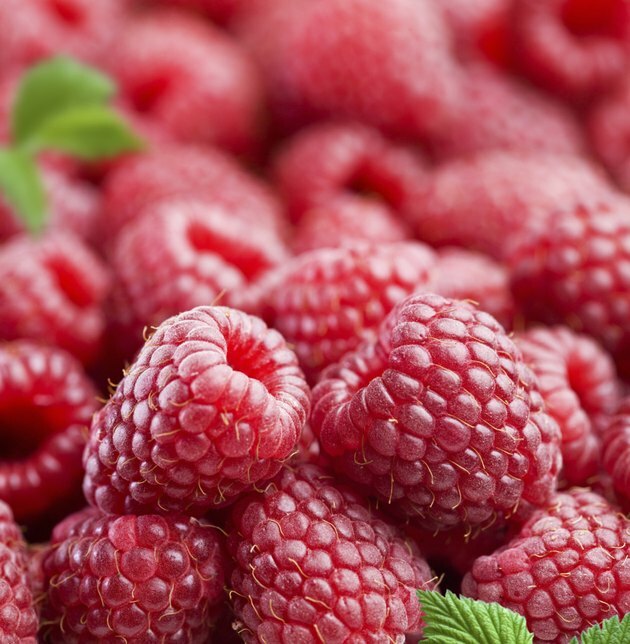 When you want food low in calcium, eat a piece of fruit. 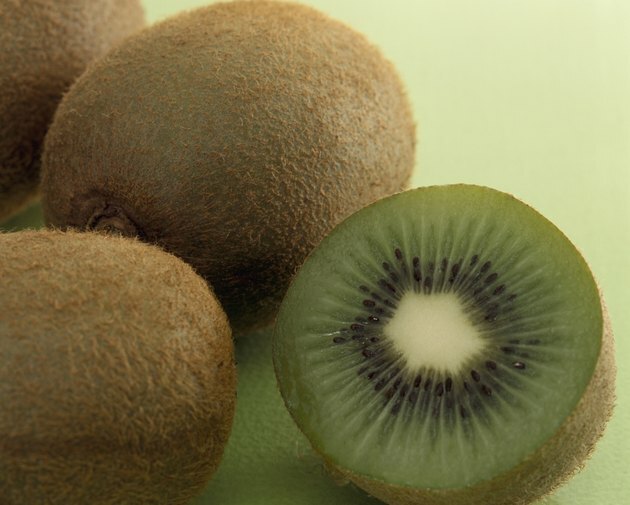 Harvard University Health Services provides a list of fruit along with the calcium content in each that includes: one medium kiwi fruit with 20 milligrams of calcium; 1 cup of fresh raspberries with 27 milligrams of calcium; half a medium papaya with 36 milligrams of calcium; and one orange with 52 milligrams of calcium. Eat beans with your meal for a healthy, low calcium food that also provides protein and fiber. Beans appear in recipes from countries around the world including the United States, Mexico and China. 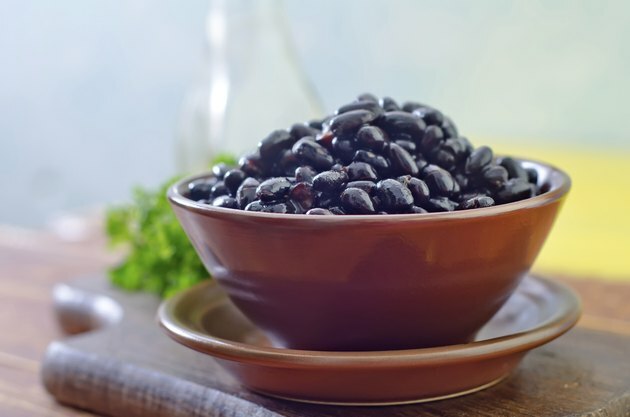 Harvard University Health Services provides a list of beans and their calcium content in cooked, half-cup servings as follows: black beans with 23 milligrams of calcium and 113 calories; baby lima beans with 25 milligrams of calcium and 95 calories; lentils with 29 milligrams of calcium and 115 calories; and kidney beans with 34 milligrams of calcium and 103 calories. The average fillet of fish is a low calcium food. However, seafood can be a rich source of calcium when you eat the bones. Canned sardines, smelt and anchovies are fish commonly eaten with the bones left intact. Four sardines contain 242 milligrams of calcium. 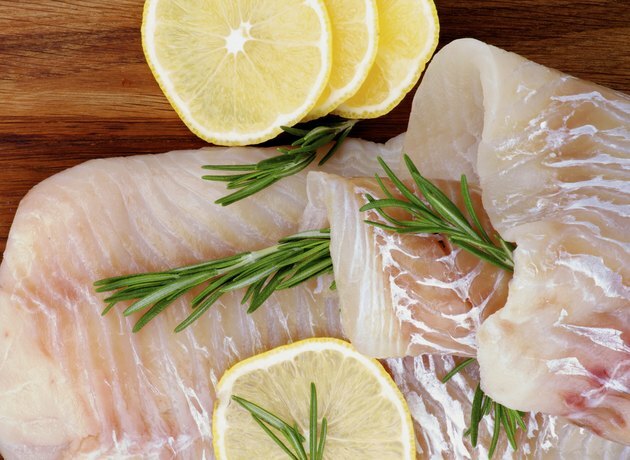 According to information provided by University of Harvard Health Services, the calcium content of several fish species in 3-ounce portion reads: raw Atlantic cod, 13 milligrams of calcium and 89 calories; cooked crab, 50 milligrams of calcium and 82 calories; and light tuna canned in water has 10 milligrams of calcium and 99 calories.